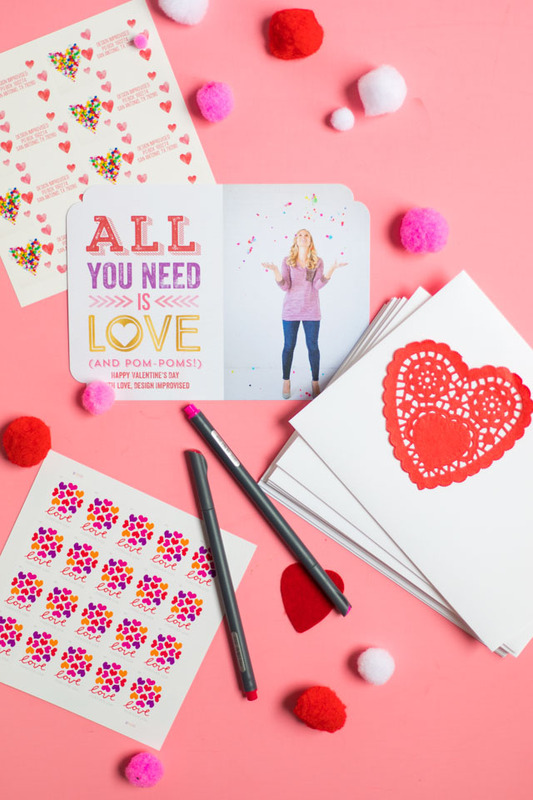 To receive a Valentine and enter to win a calendar, just leave a comment at the end of this post or on this Instagram post. I will follow up to get your mailing address! I am so excited about this year’s card because POM-POMs! I started with Mixbook’s All You Need is Love design and then customized it with some additional text. I love how it looks like it is part of the original design. Mixbook’s customization options are the best! If you’ve gotten a Valentine from me, you know that the love extends beyond the card to the outside of the envelope. 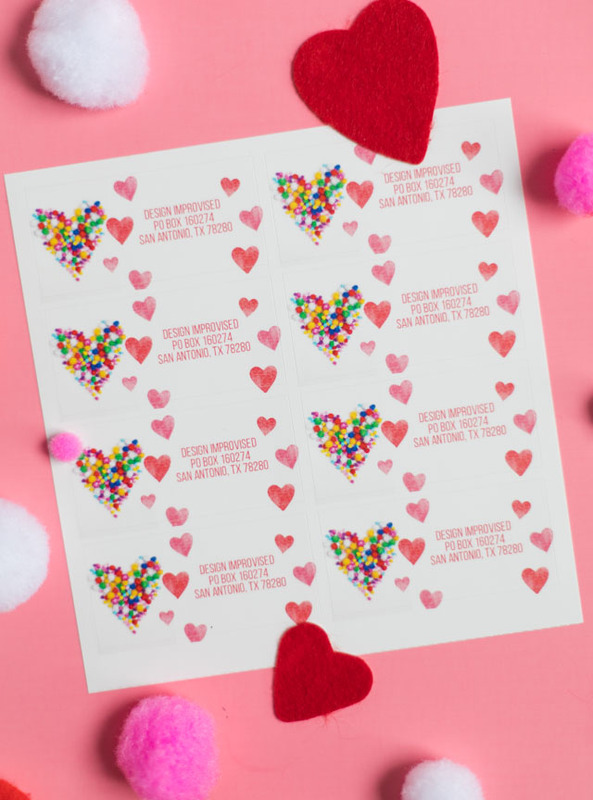 I plaster the envelopes with all variety of heart stickers and stamps. 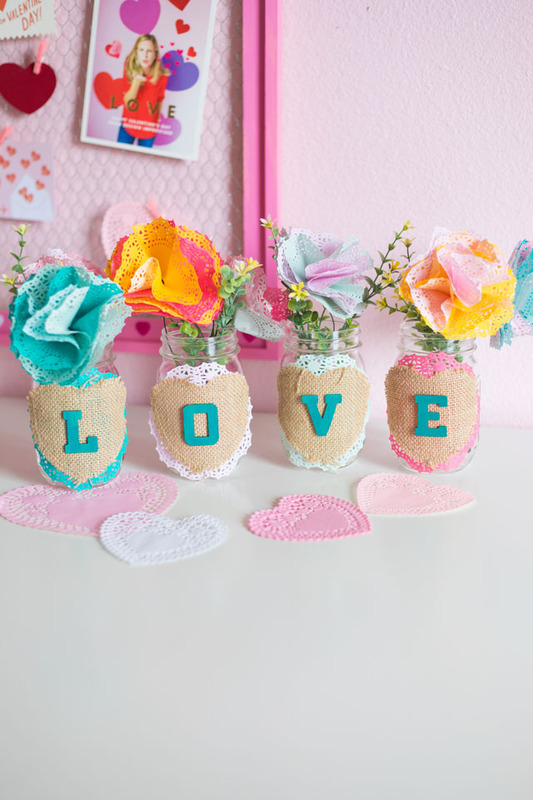 A plain address label just wouldn’t do, so I made these pom-pom heart labels using Mixbook’s Floating Hearts design. You can customize their address labels with any photo you want. So fun! 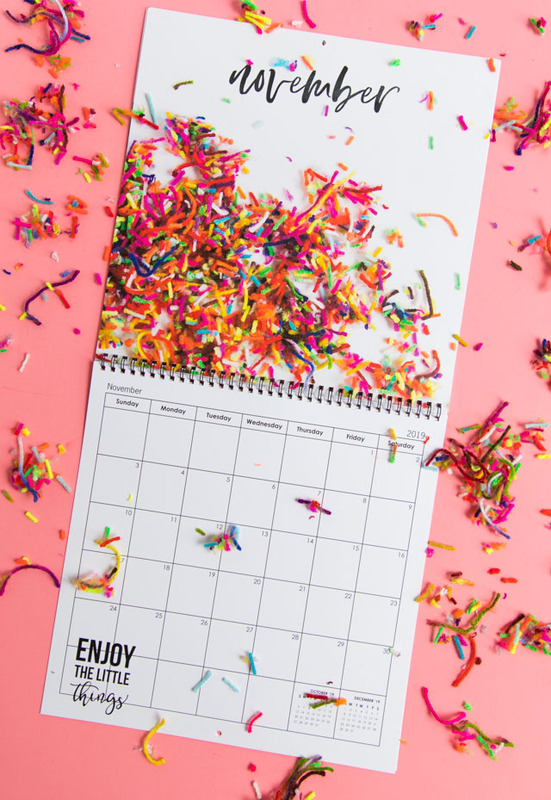 Did you know you can make just about any design of calendar you want with Mixbook? 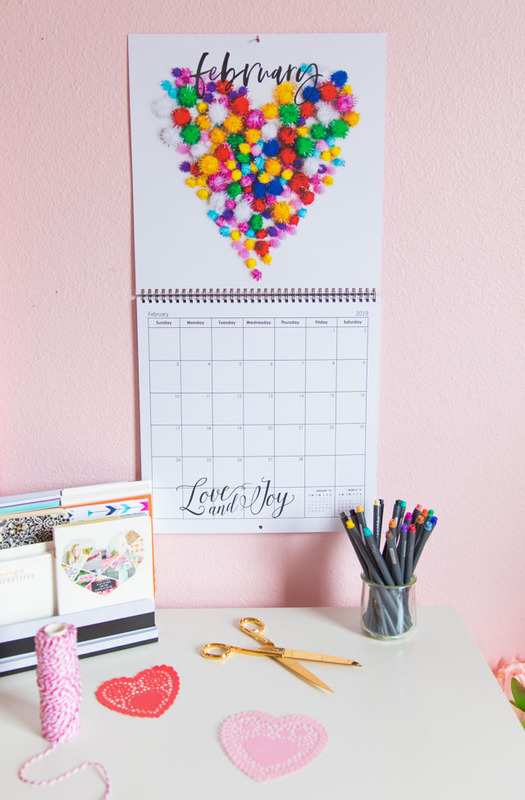 Their calendars are great if you are in need of easy Valentine’s Day gift ideas. 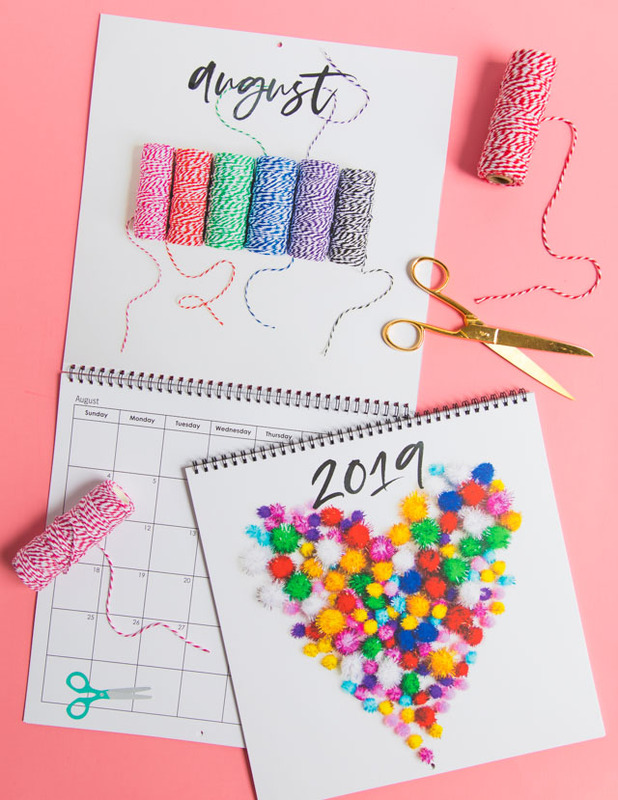 I am so thrilled to send five of you my craft supply calendar. It was inspired by this colorful wall art I made for my office a couple years ago. I figured if you’re like me, you’d enjoy looking at craft supplies too! I used Mixbook’s Black Watercolor Script calendar theme to create these calendars and added a little saying or graphic to the bottom of each month using Mixbook’s stickers. Who knew yarn scraps (from making pom-poms!) could be so pretty? 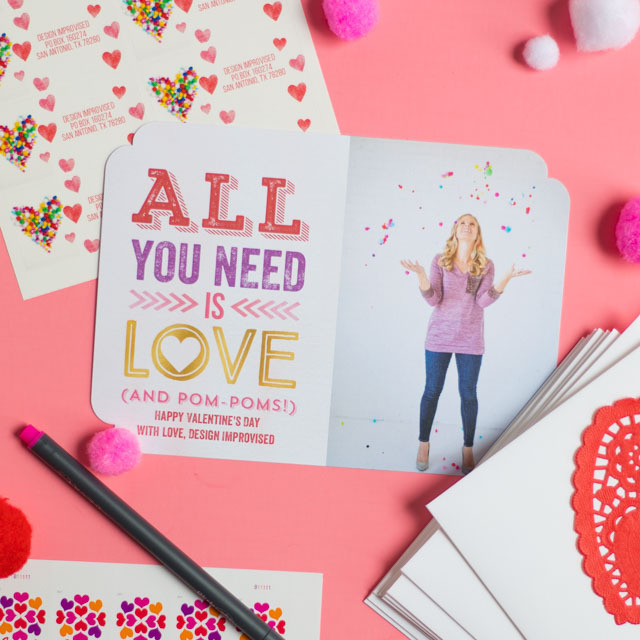 Looking for some easy Valentine’s Day gift ideas? Don’t miss out on Mixbook’s current promotions (get up to 45% off of everything)! If you don’t see a comment box, shoot me an email or comment on Instagram instead! I will follow up to get your mailing address. I send cards internationally too. 🙂 To enter to win a calendar, make sure to follow Mixbook on Instagram in addition to leaving a comment. Calendar winners will be selected on Wed, Jan. 30th.